Our clients use Lawflex for a number of reasons, including temporarily adding talent where a special legal expertise is required, filling temporary team absences, maternity leave and accessing an instant legal team for large-scale projects. Lawflex has a large pool of highly-skilled independent lawyers, enabling you to temporarily grow your workforce to maximize resources and minimize costs. Review and analysis of large-volume legal documentation. Review and preparation of high-volume English and other foreign-language documentation. 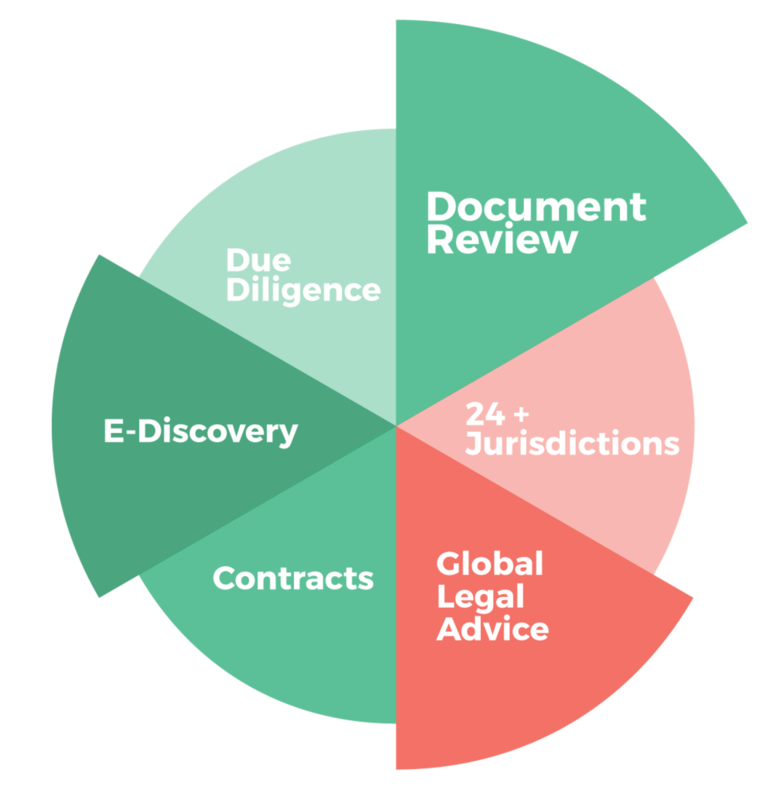 Review and analysis of corporate documentation and provision of due diligence report. Review, negotiation and drafting of contracts of any level of complexity. Legal opinions on specialised issues such as tax, securities, private equity and labour. 24 Jurisdictions Lawyers qualified in over 24 jurisdictions who are native in 18 languages.